"Snow leopard habitat may be lost due to climate change"
Will climate change have an impact on snow leopards and their habitat in Northern Pakistan, which is among the five countries with the largest number of snow leopards? The Greater Himalayas as a whole are very sensitive to climate change. Progressive increase in warming at high elevations is already occurring at about three times the global average. Ongoing climate change over succeeding decades is likely to have additional negative impacts across these mountains, including significant cascading effects on river flows, groundwater recharge, natural hazards, and biodiversity; ecosystem composition, structure and function; and livelihoods. A recent study also indicates that about 30 per cent of snow leopard habitat in the Himalayas may be lost and heavily fragmented because of climate change. Estimates suggest 200 snow leopards remain in Pakistan. Do you think they have a chance at survival? I believe snow leopards have a secure future in Pakistan, since public attitudes towards the species are changing. There is also a great momentum at the moment in government and the conservation community to do the needful for the animal. How will the country find a balance between conservation and the burgeoning human population? Generally, human densities and wildlife persistence are considered competing interests. However, several studies show that wildlife can survive in areas of high human density, subject to policies and tolerance to carnivores’ existence. The human population in the snow leopard habitats in Pakistan has quadrupled since the country came into being, and livestock numbers have grown at an even faster rate. Likewise, infrastructure has grown and people have moved deeper into pristine habitats. This all has degraded habitats and depleted many wildlife populations in the past 50 years. However, change in public attitude towards wildlife achieved through conservation work in recent decades has changed the scenario. Wildlife is now being perceived as a source of community well-being, rather than a threat to livelihoods. Consequently, wildlife populations are recovering in several valleys of northern Pakistan. Exploring alternative livelihood means, sharing benefits from wildlife (trophy hunting and tourism), compensation for predation losses and environmental education are a way forward to maintain and promote balance between conservation and economic needs. What has been your experience in the remote villages and valleys of northern Pakistan where you inculcated tolerance among villagers towards snow leopard? It was challenging in the beginning but our continuous interaction broadened the understanding of local communities of the ecological role of the snow leopard. Their initial reaction was a mix of surprise and hostility. Unlike ungulate species, which at least have food value, carnivores are considered dangerous without any benefit to humans. So the first question we were asked was why we even considered conserving these beasts. Local people demanded direct compensation for their livestock losses, whereas our ecosystem health programme (EHP) proposed indirect benefits such as saving animals from disease-caused mortality by vaccination and protection from predation through improved corrals. These interventions not only helped reduce catastrophic loss of livestock from diseases and predation in pens by 80 per cent, but also contributed to increased income by selling livestock. According to our surveys, 85 per cent community members in our programme sites want to maintain the populations, in contrast to other communities where over 70 per cent members want to reduce or eliminate carnivores. Women, generally more negative towards carnivores, have become strong supporters of snow leopard conservation, with our handicrafts programme. What are the prospects of conservation of the snow leopard in conflict zones such as Khyber-Pakhtunkhwa and Jammu and Kashmir? The snow leopard population in Khyber-Pakhtunkhwa is mostly concentrated in the northern district of Chitral, which is a peaceful area unlike other districts. Similarly, the Northern Areas or Gilgit-Baltistan, which covers about 60 per cent of the snow leopard range in Pakistan, is a peaceful area free from militants, though there are occasional clashes. The snow leopard range in Pakistan is the most peaceful area as compared to many other mountain ranges in the country. Can the snow leopards face chances of a genetic bottleneck? Our genetic studies are in progress, and we cannot make any informed statement on genetic limitations of its population. However, given the cat moves over a large landscape, we do not expect very low genetic diversity. For example, a snow leopard collared in Chitral had a home range of 1,600 sq km. She was spending summers in Afghanistan and winters in Chitral. 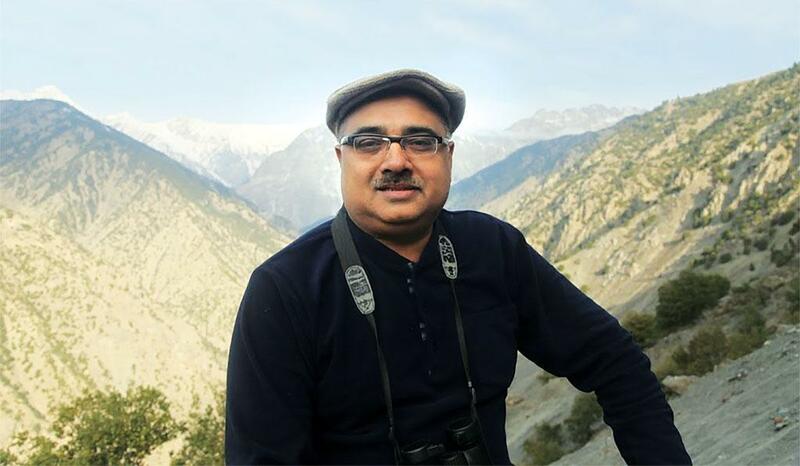 What can Indian and Pakistani conservationists learn from each other? The conservation issues of the snow leopards and their habitat are almost identical across borders. Therefore, any experiences or learning gained on either side of the border is applicable for both sides. We are in close contact with snow leopard scientists and conservationists in India, which improves our research modules and conservation strategies. For example, we learnt from livestock insurance schemes in India, and they benefited from our EHP. I want to catalyse local and national efforts to accelerate snow leopard conservation, by bettering research, management capacity among frontline wildlife staff and expanding community conservation. Most importantly, I plan to develop a national framework in coordination with non-governmental organisations and the government to synthesise these efforts to bring a targeted and lasting change to the landscapes where the cat needs to survive. The priority will be to develop a multi-stakeholder strategy for 25,000 sq km of prime habitat in the Pamir-Karakoram Mountain complex.